Just a sample of some of the wonderful feedback we have received from our valued, fantastic clients using our affordable website design services. Thankyou! Moving your new venture into the on-line world can be an overwhelming and lengthy experience – but not when you work with SiteFresh. I stumbled across their website and was immediately drawn in by easy explanations, previously developed sites and positive feedback. As a novice, I received such a great service and finished product, not to mention subsequent assistance and follow up support. 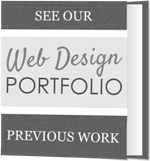 Responsive, professional, creative, supportive, and patient – my website was given the right style and functionality for my business. Public feedback has all been extremely positive. 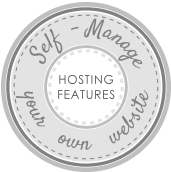 From the moment you engage SiteFresh, you can absolutely relax knowing you are in safe hands. Just make sure you lock them in before you tell your friends! Thanks SiteFresh for setting such a high benchmark and exceeding our expectations on every level. This year we made contact with SiteFresh after coming across a website they had developed. We were in need of a new and fresh website for our growing business. We liked the clean, clear, and user friendly website they designed and decided to make contact. Our initial email was one of enquiry and the response was very swift, clear and the initial setup offer was too good to refuse. We liked the opportunity to “try before we buy” and within no time SiteFresh had created exactly what we wanted. We do not possess the knowledge and skill associated with building a website and more importantly an understanding of search engine optimization. SiteFresh has provided all the knowledge that we need to facilitate a top quality site for a very reasonable price. Their work is efficient, accurate and professional. We would recommend SiteFresh to anyone who is looking to build a new website for their business or reinvent their business image. We had become very dubious about website developers but SiteFresh has restored our faith. You are simply wonderful, magnificent, a pure genius, how can I ever thank you enough, not only for creating the most gorgeous site I could ever have hoped for, but you support and customer service is like none I have received! Thank you Thank you Thank you!!!! I would like to thank SiteFresh Web Design for going above and beyond in creating our webpage for Positively Organic Skincare,nothing was ever too much trouble and the service was exceptional. I will be recommending SiteFresh to businesses who want quality websites in the future. Changing to this service is the best thing I have ever done for my business. Since rebuilding my website with you, the performance of my site has quadrupled! Thank you so much. Absolutely amazing - so, so much more than we ever anticipated! We are over the moon with what you have done for us, thankyou so very much.